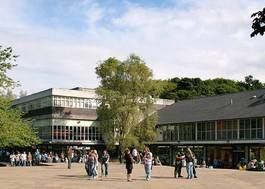 Study Astrophysics and Chemistry at Keele University - Which? To include A level Physics or Maths at grade B or above and A level Chemistry at grade B or above. If A level Maths is presented without A level Physics, then a grade of C or better in AS-level Physics is also required. 122 UCAS Tariff points including a minimum of 30 Level 3 credits at Distinction. To include sufficient units in Chemistry, Physics and/or Maths. Please contact us for advice. You must have taken sufficient Chemistry, Physics and Mathematics units, please contact us for advice. 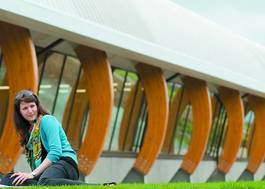 At Keele, studying a combined honours degree will include some modules from both of the single honours degrees. In this case, your programme will be made up of a combination of modules from both Astrophysics and Chemistry. Astrophysics at Keele is consistently rated highly in the National Student Survey (No. 1 for Physics/Astronomy in 2016 and 2017, with 100% satisfaction). Combining Astrophysics with Chemistry allows you to continue following your interests across a broader, multidisciplinary landscape, whilst still providing the core knowledge and skills leading to a degree that is accredited by the Institute of Physics. Taking Astrophysics as part of a Combined Honours degree, you will gain an understanding of the fundamentals of physics and the essential ability to plan investigations, analyse results and present your work. Regular laboratory sessions, including access to our on-campus observatory, enable you to investigate unfamiliar phenomena and develop valuable transferable skills. You’ll develop a solid foundation of chemical theory and practical skills, building to cover advanced concepts and contemporary issues in chemistry in later years. You’ll have hands-on experience with state-of-the-art scientific instruments and techniques, enjoy access to dedicated IT facilities and an excellent modern teaching laboratory. You’ll learn to use chemistry in problem solving, and to present your theories and findings confidently and imaginatively to your audiences through a range of media. You could even spend a semester or year abroad. If you study Single Honours Chemistry, your degree will be accredited by the Royal Society of Chemistry. As part of a Combined Honours degree, Astrophysics and Chemistry at Keele will prepare you for many different careers. Employers value numerate, versatile graduates who can analyse, investigate and communicate. You could take up roles as a research scientist, medical physicist, or enter the space, telecommunications or nuclear industries. Alternatively, you might work in the chemical industry, research or education; you could choose to become a research scientist, toxicologist, or analytical chemist; or you could choose an allied career such as patent law or scientific writing. The problem-solving nature of this course gives graduates the edge in industries where these skills are sought in a variety of employment areas from IT to marketing and accountancy. Many of our graduates go on to study for master’s degrees or perform research at a doctoral level.